Just three months after the Arizona Coyotes announced plans to partner with Arizona State University in the construction of a new arena, the deal has fallen through. Where does this leave the team? It’s back to square one for the Arizona Coyotes. The announcement comes as a big surprise. 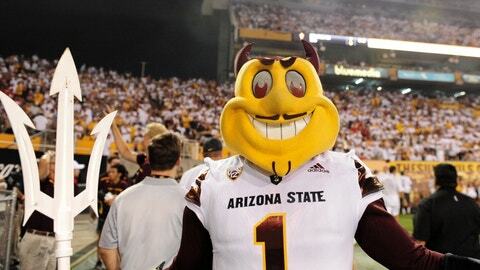 ASU has been in exclusive negotiations with the team since November working towards a deal. Any way you look at it, this is a tough pill to swallow. The partnership would have seen the development of a complex including a 16,000-seat arena for the Coyotes and a 4,000-seat arena for ASU. Instead, with one year left on the current lease at Gila River Arena, the Coyotes must explore other options. Fortunately, it seems they planned ahead. There have been many different rumored sites and partnerships, from a joint arena with the Phoenix Suns to an arena site involving private developers working with Salt River Pima-Maricopa Indian Community. Needless to say, there are options. We just don’t know yet how viable they are. For long-time Arizona Coyotes fans who have been through far too many off ice distractions, it’s comforting to be proven time and time again that this ownership group wants to do right by the team and its fan base. On a positive note, while the off-ice concerns have returned, the future on the ice has never been brighter. That’s where fans should keep their focus. LeBlanc and the ownership group will take care of the rest.